This one made my day! I love Tito Boy, the widely known and respected media personality, and "Tito Bhoy", the character played by Pinoy Big Brother's Jason Gainza during his comedy skits in Banana Split as a parody of Mr. Boy Abunda himself. Seeing them together was a fun-filled experience! I was just laughing the whole time. I love how he was able to make Mr. 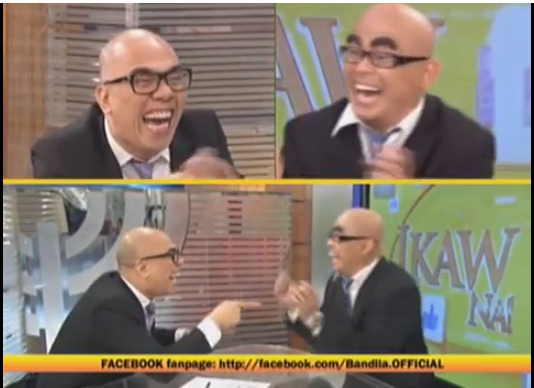 Boy Abunda laugh plenty of times during this segment (which Jason also spoofs through his show called "Ihaw Na! "), as well as bring out the fun in him. Jason Gainza is definitely a natural in comedy. To be honest, I am so proud of how far he has come. I've been watching him since he first showed up in Pinoy Big Brother, and instantly, he became one of my favorites because of his wonderful personality.